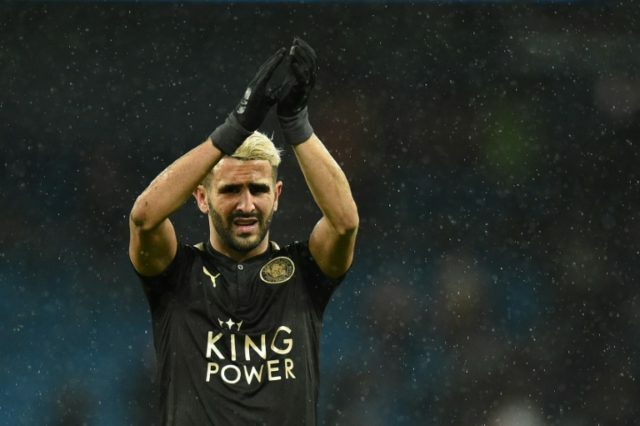 London (AFP) – Leicester City confirmed on Wednesday that star forward Riyad Mahrez is not quitting football after a bizarre post appeared on the player’s Facebook page announcing he was retiring. The post said the Algerian was retiring after a medical consultation, prompting an outpouring of disappointment from fans but also claims it was fake. “After the last consultation with many doctors, I’ve decided to stay away from football,” the Facebook post said. “As my time as a football player comes to an end, I would like to say few words. A spokesman for the club told AFP that Mahrez’s account had been hacked. “It was not a genuine post and we have been working with Facebook to get it removed,” he said. The post has apparently now been deleted. Leicester ran a feature on Mahrez on their website on Wednesday looking at the impact of the player this season, suggesting the Facebook post was a hoax. “Often found lurking on the shoulder of defenders, Mahrez has once again played his role as tormentor-in-chief for opposition players up and down the land this season,” the article said. Mahrez, 27, scored his first goal at the weekend since a protracted transfer saga over a proposed move to Manchester City, which resulted in a 10-day absence from the club. His stoppage-time free-kick rescued a 1-1 draw for the 2015/16 Premier League champions against Bournemouth. Leicester boss Claude Puel said Pep Guardiola’s City should have shown his club more respect in their late bid to sign the forward in January.